A holy city in the Uttar Pradesh state in India, Sarnath is revered worldwide as the place where Gautama Buddha preached his first sermon after attaining Enlightenment. For Buddhists, Sarnath is one of the main four pilgrimage sites associated with the life of Lord Buddha, the other three being Kushinagar, Lumbini and Bodhgaya. Followers of Buddhism from all over the world and regular tourists who wish to explore the historical ruins of this sacred destination flock to Sarnath every year. Although Sarnath is not equipped with a multitude of Hotels in Sarnath Uttar Pradesh, the city offers basic accommodation options for the numerous pilgrims and tourists visiting the sacred city. The sleepy little town of Sarnath in Uttar Pradesh seems to have undergone very little changes from the way it must have been more than thousand years ago. Hence, Hotels in Sarnath in Uttar Pradesh number as very few, and it is better and more convenient to opt for the hotels in Varanasi while on tours to Sarnath. A number of accommodation options are available in Varanasi, which can cater to the budgets and tastes of all classes of visitors. Besides the hotels in Sarnath Uttar Pradesh, there are some Buddhist monasteries in the region, which provide rooms to stay in while at Sarnath in Uttar Pradesh. Sarnath Hotels range from luxury hotels to medium priced economy hotels and cheaper Budget Hotels - designed to cater to budget-conscious travelers and backpackers. The various packages at these hotels come with the best of facilities as far as accommodation and food are concerned. The well-furnished rooms and personalized services at the Hotels in Sarnath and Varanasi ensure that pilgrims and tourists enjoy a pleasant stay. 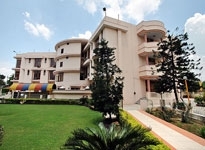 The hotels in Sarnath Uttar Pradesh present a fine combination of traditional ambience and hospitality with modern amenities, so that guests can have a glimpse of both the worlds. The luxury hotels pamper the guests by offering lavish stay amidst hoards of modern amenities. On the other hand, the budget hotels in and around Sarnath are so designed as to suit the budgets of the middle-class and ordinary tourists. The convenient locations of the famous Hotels in Sarnath and in Varanasi have made these hotels a much sought after holiday retreat for all kinds of travelers. These Hotels offer the guests excellent facilities teamed with personalized services that can be termed nothing short of first class. Prominent among the Hotels in Sarnath Uttar Pradesh are the Clarks Varanasi Hotel, Taj Ganges Hotel and Hindustan International Hotel. Be it the devout pilgrim, an international tourist, a business executive or even a holidaying traveler - each individual guest is well taken care of at the Hotels in Sarnath and Varanasi. Get in touch with us at indianholiday for detailed information and bookings at the Hotels in Sarnath India. Choose the accommodation best suited to your style and budget from among the hotels in Sarnath Uttar Pradesh.